Brent Dewar has been with GM for 31 years. 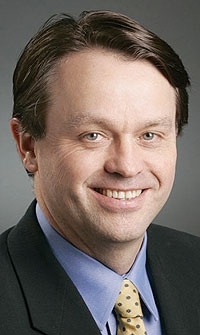 DETROIT/MUNICH -- Brent Dewar, who was called back from Europe to the United States in the summer to run Chevrolet, will leave General Motors Co. in April 2010 as part of the company's second major management shake-up in the last six months. He is succeeded by James Campbell, 45, who took over Wednesday as general manager of the division. Campbell had been responsible for GM's Fleet and Commercial Operations and has been with the automaker since 1988. The move continues a management upheaval sparked by the Dec. 1 ouster of CEO Fritz Henderson. Three days later, Mark Reuss was named president of GM North America, while Susan Docherty took over as vice president of sales, service and marketing. In Europe, Dewar succeeded Jonathan Browning on June 1, 2008 as GM's head of sales and marketing. Browning moved to the United States to become GM's vice president of global sales, service and marketing, a job he left in October as part of GM's summer management shuffle. In the summer, Dewar was tapped to head Chevrolet after Vice Chairman Bob Lutz was put in charge of marketing following GM's emergence from bankruptcy five months ago. As Docherty was given expanded duties on Dec. 4, Lutz shed his marketing title and took on an advisory role to Chairman Ed Whitacre. Dewar will work with successor Campbell through April 1 “to ensure a smooth transition at Chevrolet” before retiring “to dedicate more time to his family and to pursue personal interests,” GM said in a statement. He will also serve out the remainder of his 31-year GM career as an adviser to Reuss. Before running GM's fleet and commercial unit, Campbell held various positions in field sales, retail incentives, marketing and customer relationship management. The Chevrolet appointment is especially crucial because GM expects the brand to carry the burden of driving sales and market share as the automaker tries to sell Hummer and Saab and closes down Saturn and Pontiac. Chevrolet's U.S. sales have fallen 27 percent through November in a market that is down 24 percent from a year earlier. GM's overall sales have declined 32 percent. The change comes at a time of tumult at GM as executives who devoted a full career to the Detroit-based automaker find themselves being shown the door – or head for it on their own. The Obama administration dismissed Henderson's predecessor, Rick Wagoner, in March after he accepted U.S. rescue loans while resisting calls to consider a restructuring in bankruptcy. Henderson had vowed to shake up GM's insular and slow-moving decision-making process. Whitacre, who also became acting CEO with Henderson's departure, said this week that the new team of GM executives would not have long to show results. Whitacre also said the automaker is on the verge of hiring a new finance chief while seeking a permanent CEO.